Sports has a little bit of everything — cheers, jeers, ups, downs, and drama. Over the past quarter of a century, sports have become a commodity for fans who use their favorite teams or athletes as part of their identity. But, sports isn’t just about playing the game. There’s a lot more to it than that. The heat of the moment can spark game-winning shots like Michael Jordan, or one of the biggest upsets which nobody saw coming. 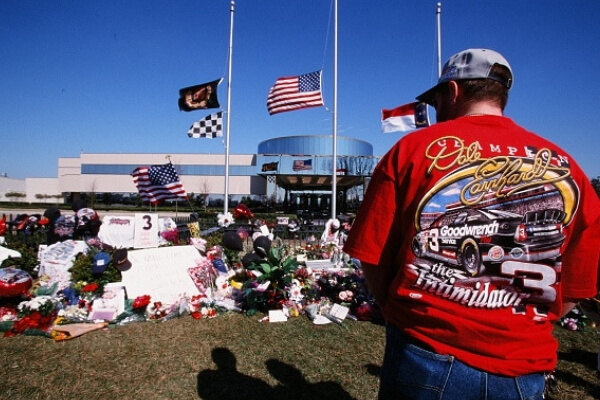 February 18, 2001, Earnhardt was killed in a three-car crash on the final lap of the Daytona 500. He collided with Ken Schrader, with both of their cars sliding off the track’s asphalt. Richard Childress made a public pledge that the number 3 would never again be associated with a GM Goodwrench sponsorship in Earnhardt’s honor. 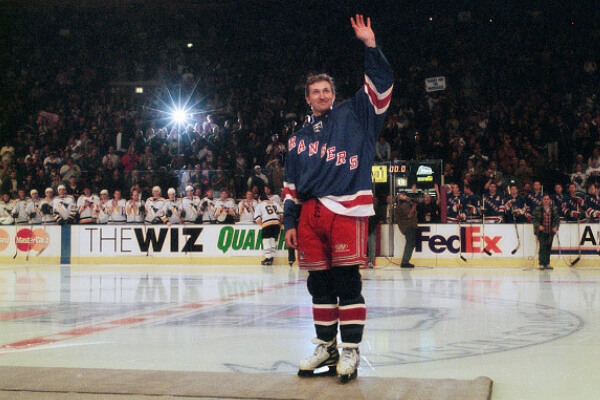 The final game of the Great One’s career was on April 18, 1999. The New York Rangers lost 2-1 in overtime to the Pittsburgh Penguins. His final game ended with Gretzky assisting on the lone goal scored by Brian Leetch. At the time of his retirement, Gretzky was the second-last WHA player still active in hockey. 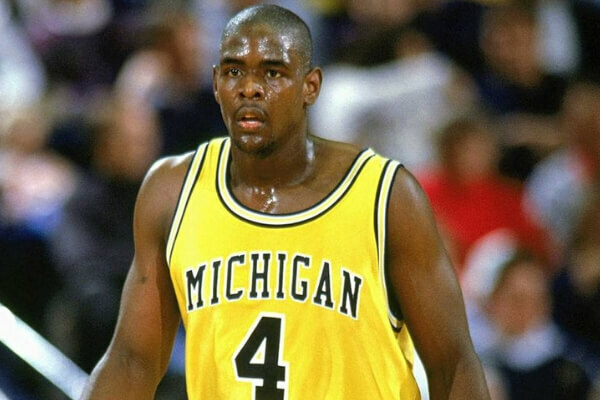 With 11 seconds remaining in the 1993 March Madness Finals, the Michigan star brought the ball up the court into a half-court trap. Webber attempted to call for a timeout when his team had none remaining. The faulty mistake led to a technical foul, and it eventually clinched the game for North Carolina. 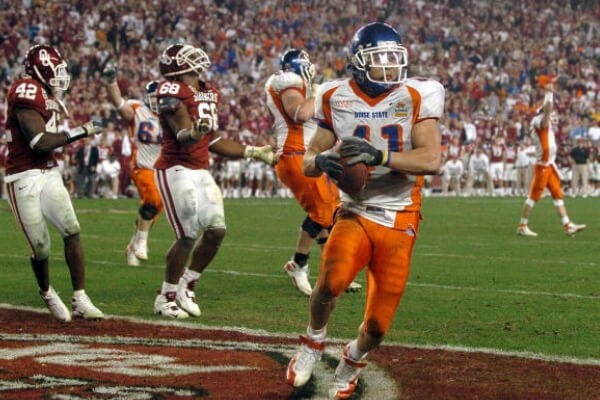 The next unforgettable moment happened in the same year as this. But, we’ll have to head North of the border for that iconic moment. 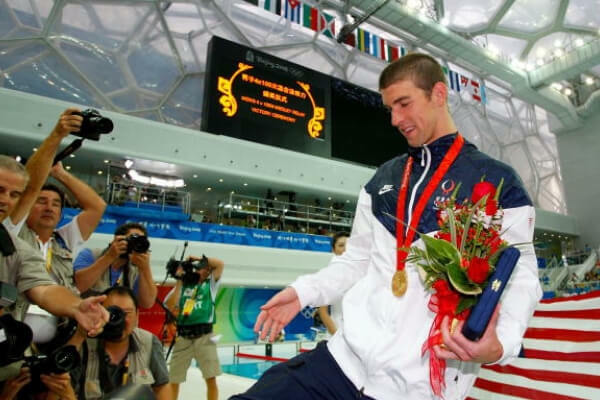 The 2008 Beijing Olympics were a special one for Michael Phelps. The now-retired swimmer had seven gold medals of the Games, tying Mark Spitz’s record for gold medals won in the Olympics. On August 17, 2008, Phelps went on to win his eighth gold medal in the 4×100 meter medley relay. This is the most iconic moment in Tiger Woods’ career. 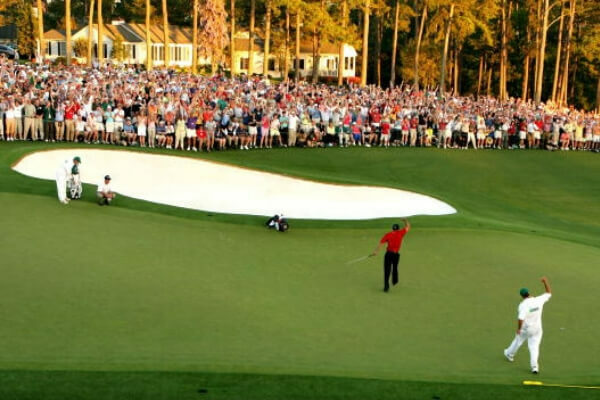 On the 16th hole, Woods made an incredible putt, aiming 20 feet to the left of the hole. He used the sloping green to run the ball towards the hole. The ball crept towards the cup, then stopped at the lip, before toppling in for a dramatic finish. In Game 7 of the 1993 World Series, the Blue Jays were down 6-5 in the bottom of the ninth. Joe Carter stepped up to the plate and delivered a three-run walk-off home run off Phillies pitcher Mitch Williams. Carter’s heroics throttled the Blue Jays to clinch back-to-back World Series championships. 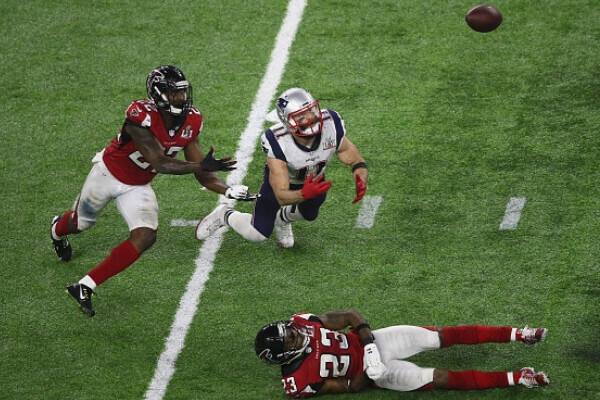 Read ahead to see the unforgettable moment in the Super Bowl when one team was held just short of the goal line. 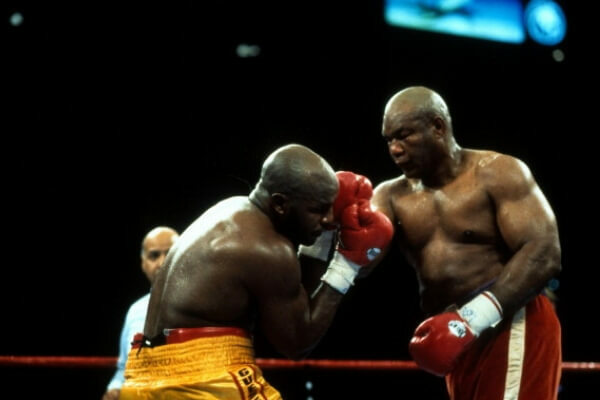 Foreman secured a massive upset over Moore. Looking exhausted by the 10th round, Big George suddenly gained new life in the ring. He landed a left-right combination to Moore’s jaw, flooring the boxer and leaving him unable to regain his footing. At 45 years old, Forman became the oldest heavyweight champion in boxing history. The 2006 Fifa World Cup Final was a classic. It featured France and Italy battling it out to be on top of the soccer world. 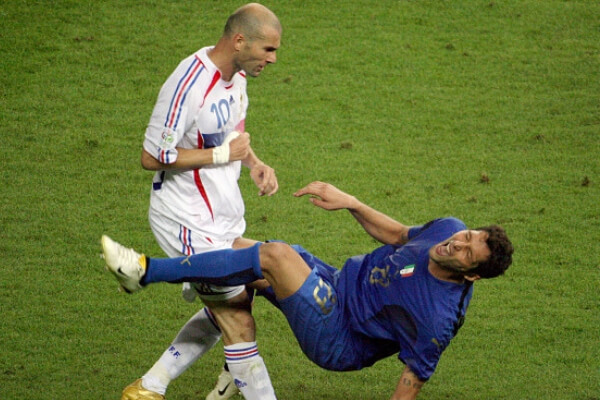 However, Zinedine Zidane was sent off a bit too early. In the final game of his career, he headbutted Marco Matterazi right in the chest. 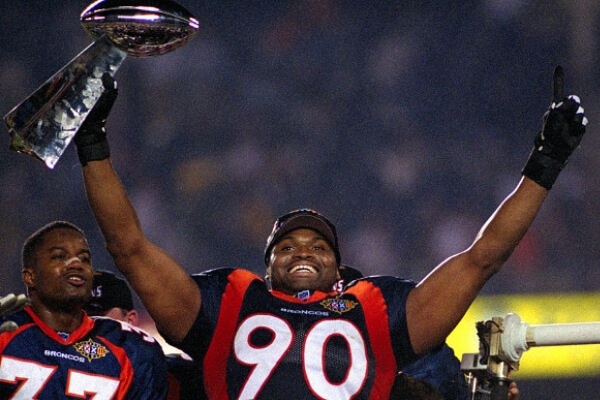 The “Greatest Show On Turf” marched all the way to Super Bowl XXXIV. 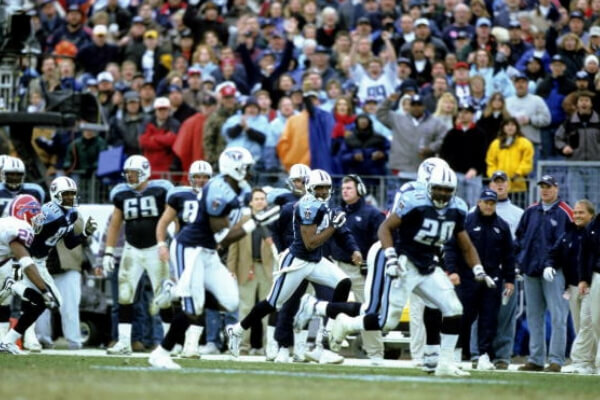 In that game, Kurt Warner’s Rams outlasted the Tennessee Titans. Linebacker Mike Jones managed to ground Titans wide receiver Kevin Dyson at the one-yard line. The short-reach of the end zone saw the Rams come out on top 23-16. The next unforgettable moment ahead marked the first time in the modern era that two pitchers had thrown perfect games in the same month. In Ronda Rousey’s seventh defense title, she faced Holly Holm at UFC 193. 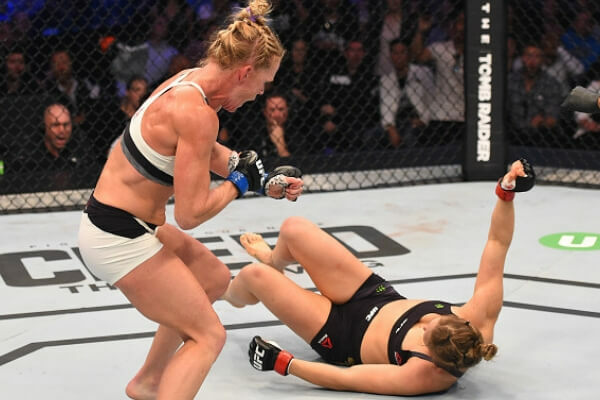 Rousey was heavily favored to win, but she wasn’t able to get Holm to the ground. In the second round, Rousey was knocked out with a high kick to the neck, ending her three-year reign as the UFC champion. The 73-9 Warriors were a hard team to play against. 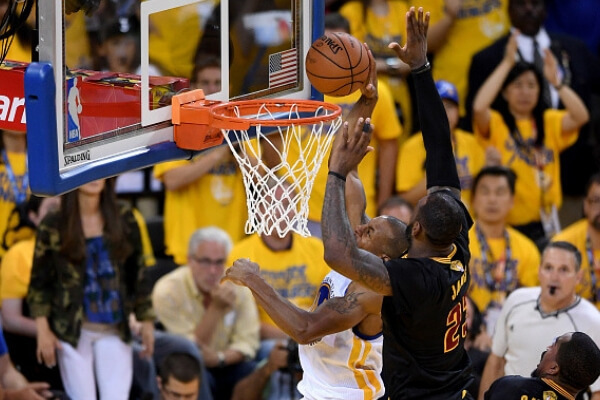 But, once the Cavaliers fell 3-1 in the NBA Finals, they mounted an incredible comeback. LeBron James did everything he could to help Cleveland win its first and only Larry O’Brien Trophy. James would go on to win Finals MVP for his heroic efforts. Halladay pitched the 20th perfect game on May 29, 2010. Retiring 27 batters with 11 strikeouts, he allowed no hits, runs, walks, or errors. It marked the first time in the modern era that two pitchers had thrown perfect games in the same month. The other pitcher who pulled off the feat was Dallas Braden. Baseball fans will want to go ahead and reminisce on the biggest home run battle between two star players of the nineties. The trio of Hall of Famers completed the season with an impressive 72-10 record. Afterward, the Bulls went on a run throughout the playoffs. They tore through the competition and beat Miami, New York, Orlando, and Seattle to collect another NBA Championship. Outside of Golden States 73-9 record, the 1996 Bulls proved that they’re the better team overall. The Patriots scored 25 unanswered points to tie the game 28-28 in Super Bowl LI. The game went into overtime, and New England won the coin toss. Eventually, they drove the ball 75 yards to win with a two-yard touchdown. When the game ended, more than 30 team or individual records were broken. The home run chase was fraudulent, but the competition was fun to watch. 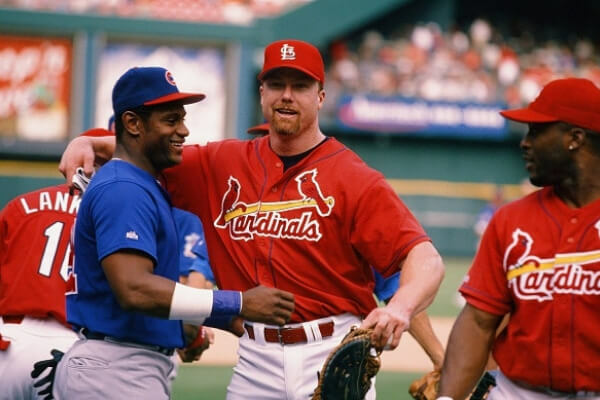 McGwire and Sosa resurrected America’s pastime by elevating its popularity to another level. Both players went on to surpass the single-season home run record which was set by Roger Maris. But, McGwire’s 70 homers outperformed Sosa’s 66 dingers. Read ahead to see the quarterback who led his school to their first national football championship since 1970. A lot went down between the Yankees and Red Sox. The Yankees were up 3-0 on the series, but Boston wasn’t done yet. They pulled off the biggest comeback in baseball by being the first team to win a series after being down 3-0. Dave Roberts slide to second was enough to help the Red Sox win their first World Series since 1918. The Curse of the Billy Goat and Steve Bartman were finally forgotten after the 2016 World Series. 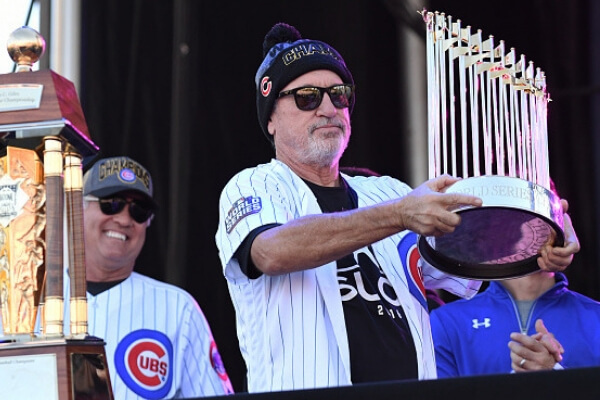 In the Fall Classic, the Cubs never led, but showed a ton of heart and grittiness. Recovering from a 3-1 hole, they outlasted the Cleveland Indians to win their first championship since 1908. With that, the longest championship drought of 108 years finally came to an end. 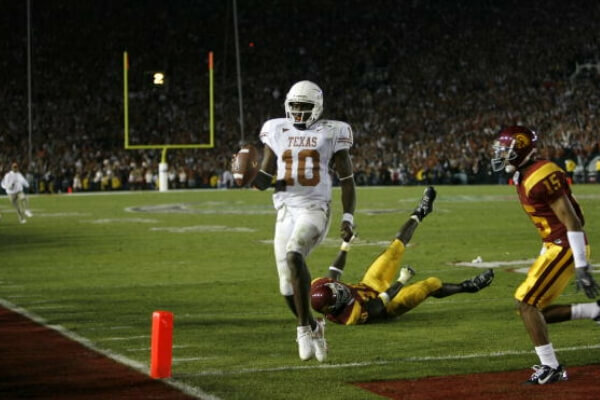 The quarterback carried the Texas Longhorns to a 41-38 victory over USC. It was the program’s first national championship since 1970. Young accumulated 467 yards and three touchdowns, winning offensive player of the game. The matchup between both schools is considered to be one of the premier title games in college football history. 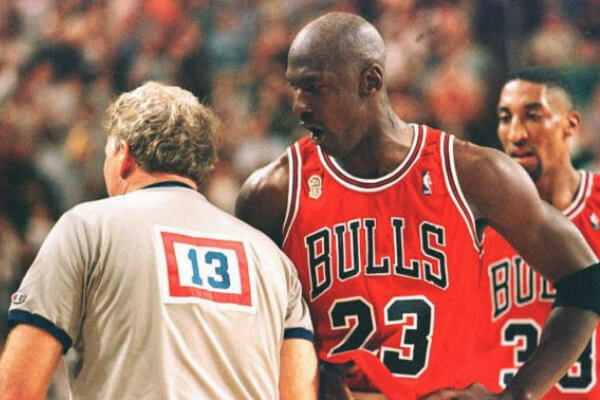 One of the most infamous basketball brawls is still on the way. 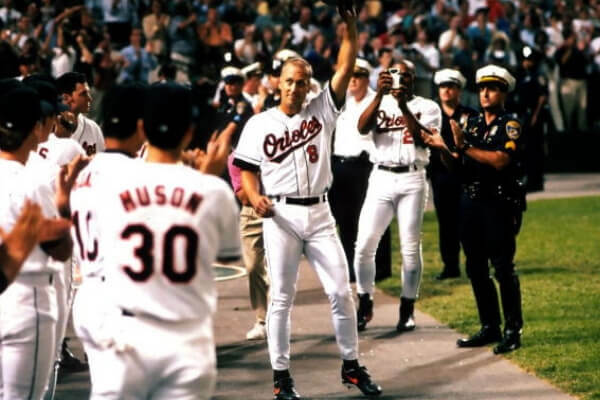 On September 6, 1995, the Baltimore Orioles icon solidified his status even more. The Hall of Famer surpassed Lou Gehrig’s record for most consecutive games played. Mike Tyson was determined to avenge his loss to Evander Holyfield. “Iron Mike” failed miserably to intimidate the “Real Deal” and his frustration clearly began to grow. 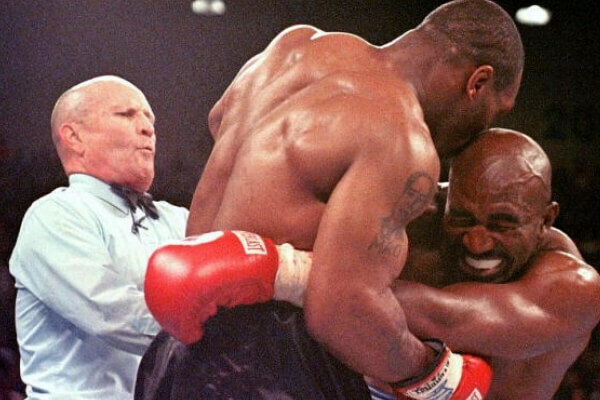 Mills Lane ruled that a Holyfield headbutt that bloodied Tyson’s right eye was accidental. Tyson went for retaliation, and savagely bit both of Holyfield’s ears. What started as a minor scrum between the Detroit Pistons and the Indiana Pacers escalated real quick. 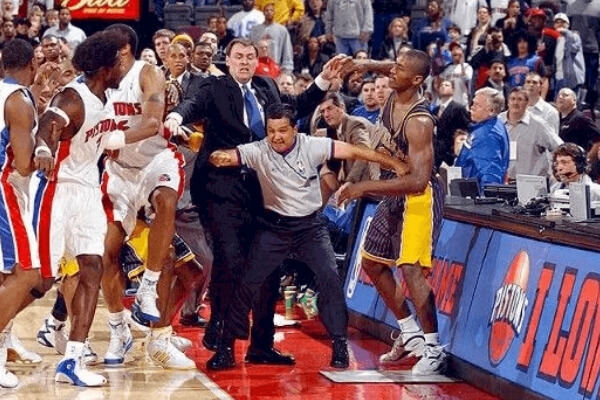 Ben Wallace and Ron Artest were the focal points of the NBA’s most famous brawl. For attacking spectators, Artest, Jermaine O’Neal, and two other Pacers pleaded no contest to misdemeanor assault and battery charges. Artest didn’t play for the rest of the season. The Buffalo Bills did not enjoy their time in Tennesse, especially when it started their dismal playoff drought. The Bronx Bombers finished the season with a 114-48 record, then went 11-2 in the playoffs. Overall, their record was 125-50, validating the greatness of the Pinstripes. When the Yankees defeated the Padres for their 25th title, many analysts agreed on one thing — this version of the Yankees was the best-assembled team. Drew Bledsoe’s injury in September forced rookie Tom Brady into the role of starting quarterback. Brady and the New England Patriots shocked the football world by going all the way to the Super Bowl. The Patriots surprised everyone again by beating the Rams 20-17. That started the dynasty that’s still alive today. The Buffalo Bills were looking for a victory over Tennessee. 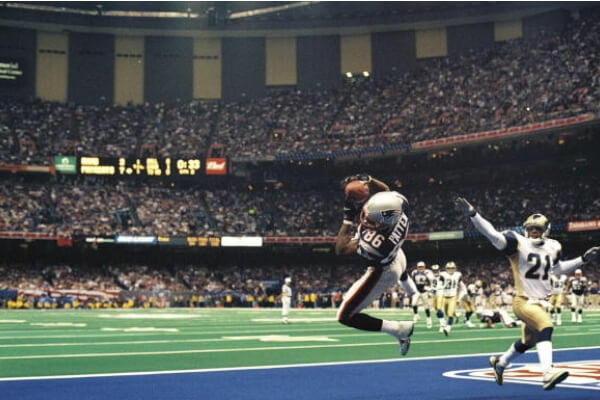 With 16 seconds left in the game, Kevin Dyson caught the ball after Frank Wycheck threw a lateral pass. Dyson proceeded to run 75 yards, which ended up being the game-winning touchdown. Despite the controversy, it was the last time the Bills made the playoffs until 2017. What was so great about the 1995 Nebraska Cornhuskers? Tommie Frazier, Ahman Green, and Lawrence Phillips have the answer to that. Kurt Warner and the Arizona Cardinals had a 23-20 lead with 35 seconds remaining. The Pittsburgh Steelers had the ball, and Ben Roethlisberger threw the ball to his receiver, Santino Holmes. The wideout reached to the back corner of the end zone for the game’s winning score. Holmes went on to win Super Bowl MVP honors. Former Boise State head coach, Chris Petersen, used an intriguing option to help his team to victory. In a memorable upset victory, Petersen went ahead and used a hook-and-lateral to get his team in position to win the game. To cap it all off, he went to a Statue of Liberty play with a halfback toss to silence the powerful Oklahoma Sooners. Tommie Frazier, Ahman Green, and Lawrence Phillips never scored less than 35 points during the season. The Huskers completed the season with a 12-0 record and humiliated the Florida Gators in the Fiesta Bowl. After winning their second consecutive national title, Sports Illustrated chose Frazier as the backup quarterback on its NCAA Football All-Century Team. One of the most infamous moments at Madison Square Garden is up next. John Elway and the Denver Broncos imploded during their three Super Bowl trips in the eighties. However, the famed signal-caller earned one more chance to win the Lombardi Trophy. With the Green Bay Packers being heavy favorites, a gritty Terrell Davis helped the Broncos pull off the upset, and snap the AFC’s 13-game Super Bowl losing streak. 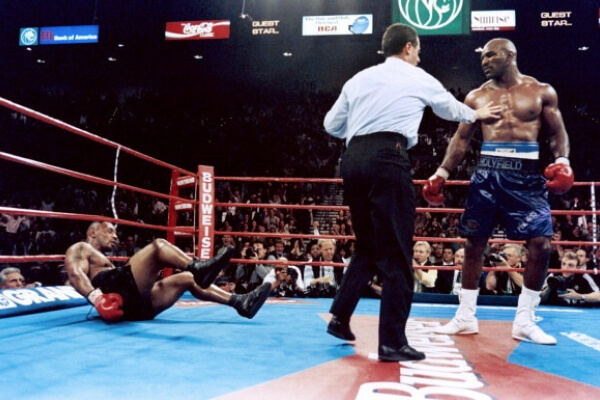 Holyfield bullied Tyson from the first bell up until the 11th round via TKO. “The Real Deal” ended “Iron Mike” once and for all at 37 seconds of the decisive frame. As for the American Holyfield, he opened as the underdog, then shocked the boxing world with one of the greatest upsets ever. 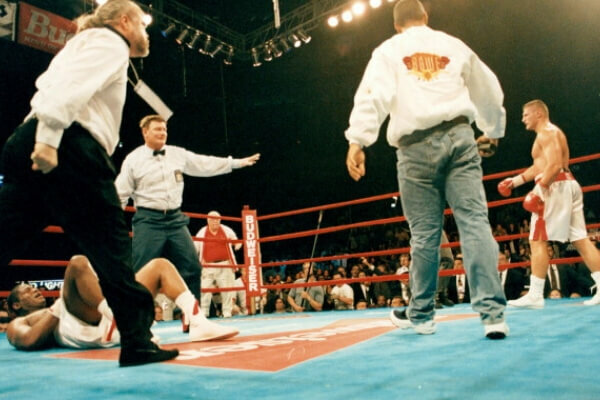 Polish boxer Andrew Golota out-punched Riddick Bowe on July 11, 1996. Instead of seeking a knockout, Golota continuously struck Bowe in the groin. Following his fourth infraction, referee Wayne Kelly disqualified Golota. A riot ensued, with Golota supporters going after African-Americans. Golota’s actions were one of the most frightening incidents at the world’s most famous arena.